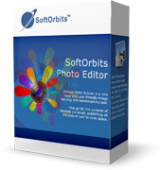 SoftOrbits Photo Editor Pro 4.0 was available as a giveaway on January 24, 2019! 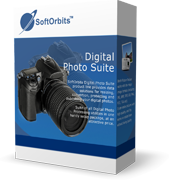 How would you improve SoftOrbits Photo Editor Pro 4.0? So you're less than 7% of people who have moved on. It doesn't cost that much. Boo hoo...go grab a kleenex. iwontell, So you're less than 7% of people who have moved on. It doesn't cost that much. Boo hoo...go grab a kleenex. I realize some of you are not having an activation issue, but I am. Will this be fixed or is it me? John, I had a big problem with it this morning. Seeing other helpful comments I found I had a version 2 installed and trying to install todays or something else had deactivated it. Anyway TCALSS I uninstaled version 2 and tried again just now and it installed no prolem. 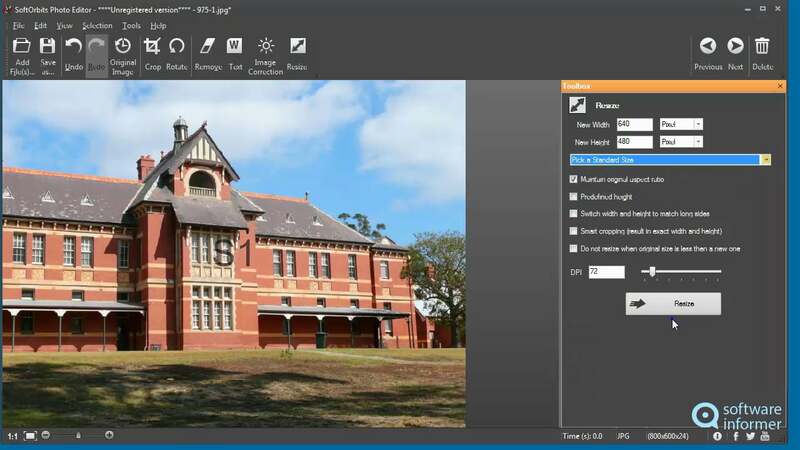 What is the difference between Photo Retoucher which I already have and Photo Editor? 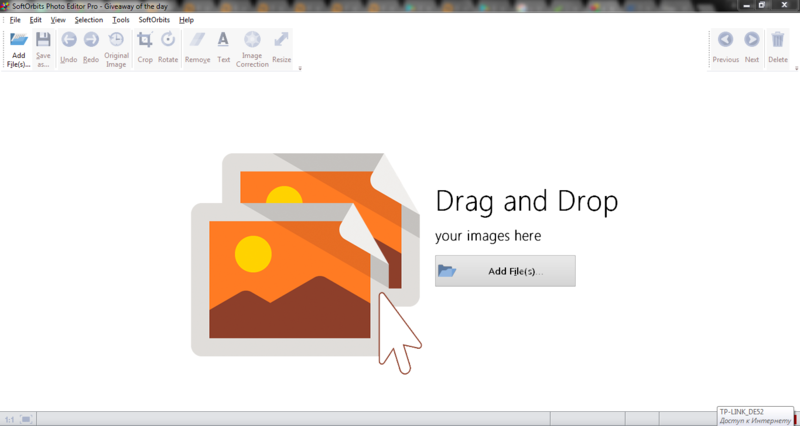 Note: that's Not saying anything bad about today's GOTD, SoftOrbits Photo Editor Pro. Or the very popular InPaint. Or your suggested Photoscape. bob, If you like free, you might also check out Chasys Draw IES -- jpchacha[. ]com/index.php If you want the best object removal, regardless the $10/mo cost, Adobe recently upped their game in P/Shop -- photoshopcafe[. ]com/content-aware-fill-photoshop-cc-2019-remove-anything-photo/ Note: that's Not saying anything bad about today's GOTD, SoftOrbits Photo Editor Pro. Or the very popular InPaint. Or your suggested Photoscape. 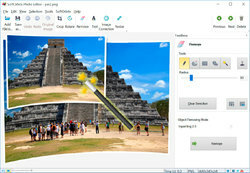 "Anyone using a basic photo editor can do much better manually"
That depends on both the task & your personal standards. 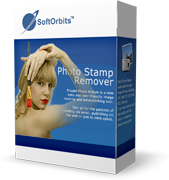 Removing objects in some images with a complicated, detailed background can be very near impossible without using something like the toolset in SoftOrbits Photo Editor Pro [or InPaint etc. ], *if* you don't want your editing to be obvious. Terry I, <i>"Anyone using a basic photo editor can do much better manually"</i> That depends on both the task & your personal standards. 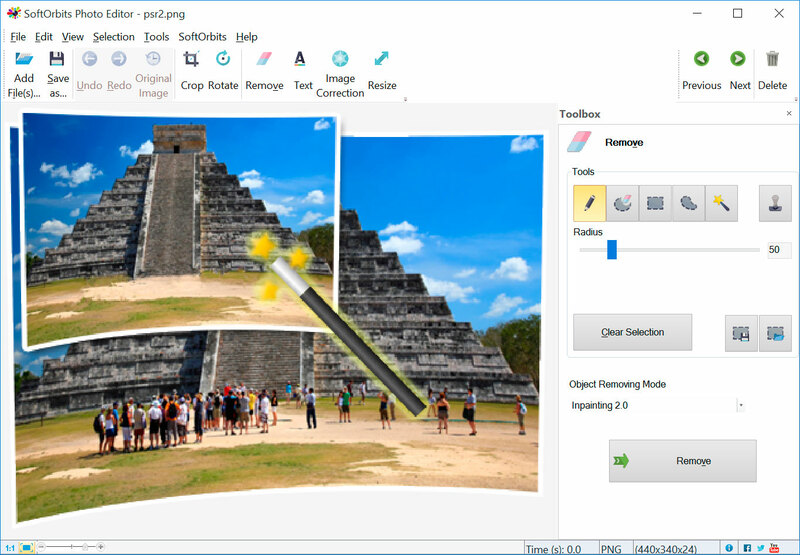 Removing objects in some images with a complicated, detailed background can be very near impossible without using something like the toolset in SoftOrbits Photo Editor Pro [or InPaint etc. ], *if* you don't want your editing to be obvious. Just downloaded and activated in one smooth action. No problem using the activation key given in the 'read me' file. Thank you for this programme. Suzy, You already accept the key in the Readme txt file, but did not accept it in the morning. Beryl, I also have the same problem. I have used the previous giveaway (same version) to edit a photo I took during my Camino to Santiago de Compostella in Spain a few years ago. I met a guy with a donkey, that carried his camping gear. I used the SO Photo Editor to eliminate the leash from the picture, so now it looks as if the donkey walked along as a free animal. I have used the previous giveaway (same version) to edit a photo I took during my Camino to Santiago de Compostella in Spain a few years ago. I met a guy with a donkey, that carried his camping gear. I used the SO Photo Editor to eliminate the leash from the picture, so now it looks as if the donkey walked along as a free animal. Grab this while you can. You're right, it IS the same version (4.0) as the previous giveaway (which I did install) so no point in me installing it again. Pass. krypteller, You're right, it IS the same version (4.0) as the previous giveaway (which I did install) so no point in me installing it again. Pass. John, I had it too, but it has expired. Did you check to see if yours is still active? Yes, it is still registered. Paul, Yes, it is still registered.